1 - I will NEVER own a car this fast ever again. It is insanely quick, but completely docile when running around town and sitting in traffic. 2 - It's an incredibly sorted car. I spent years on upgrades and mods and have got it just right. Almost no noises and rattles, great ride quality and brilliant handling. I was a bit worried Gav would have nothing to do now I no longer have a Lotus, but plans are already afoot for the Aston 😀. Hopefully MLOC will still allow me to post now I'm Lotusless - well by 12pm on Sat I will be! I'll keep the Stratos build thread updated. 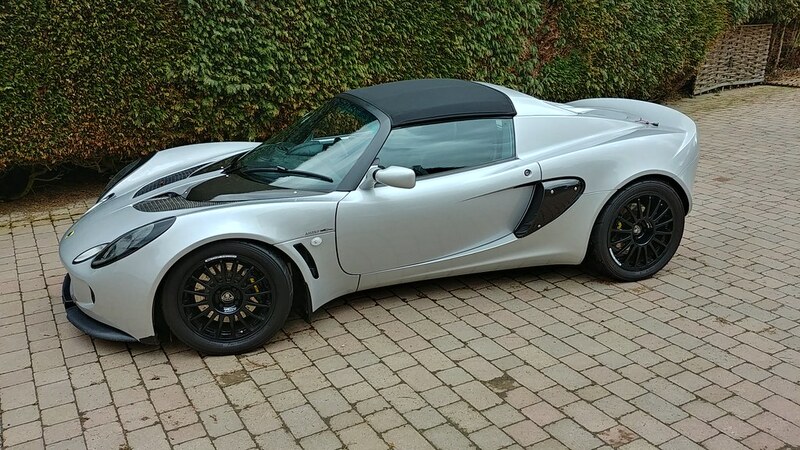 With the Exige clam, lowered height and OZ wheels it looks awesome. Hell of a car to let go. To a fellow SELOC member I assume? You’ll be back in a Lotus, we all come back at some point. Good to hear you’re still supporting Gav, great bloke! We need to support people like him. He is a SELOC member but not a regular poster. Never say never. I might be back one day. Just checked and I've had the car a tad over 11 years! Will always support Gav, not many around can do what he does. Gav is bloody incredible, I cannot believe someone so knowledgeable and bloody lovely is on our doorstep. Similar stories here Leigh, he makes it look easy. New owner drove off this afternoon at about 12:45 heading for the car's new home in Woking. I'm always dead nervous when I sell a car and have visions of something going wrong with it almost immediately. But have got a message to say all good and the trip back was uneventful. So I'm now Lotusless for the first time in about 13 years.